Claire and Ruth are so girly. And when I say girly I mean big bows, dresses, baby dolls, and play makeup. I was so excited when we found Primp + Pretties cosmetics. Check them out here: https://primpandpretties.com This adorable play makeup is perfect for our girls. What materials are Primp + Pretties cosmetics made of? The products are designed to look like real make-up, but without toxic materials. Isn't that awesome! It is fake make-up intended for creative play! All of the products are made using real cosmetic cases and the contents inside are child friendly, mess free, non-transferable and non-toxic. All Primp + Pretties cosmetics are handmade to ensure the highest level of quality. Check out a few of my favorite photos of the girls loving everything! She looks so big here! 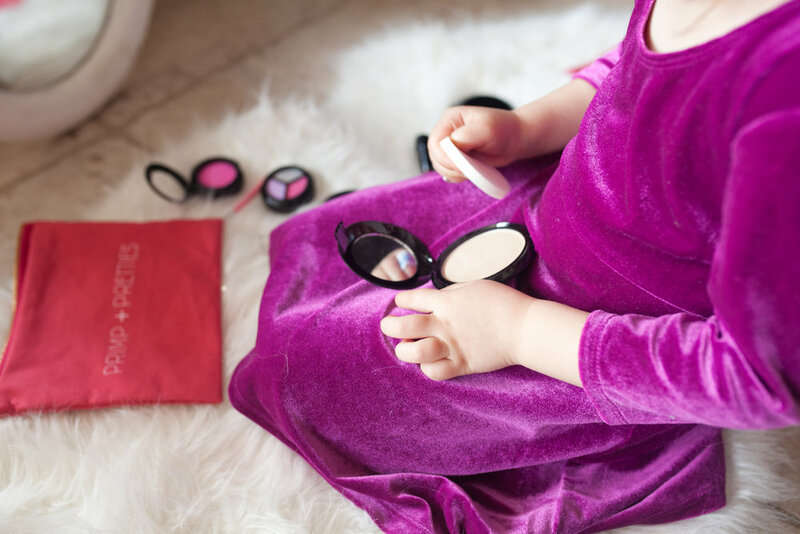 She wants to pretend to put makeup on just like mommy! Playtime with sisters can't get much sweeter than that. I love seeing them play and talk about their makeovers. Older PostHappy Birthday in Heaven, Pappy.